Green’s appointment follows an extensive national search that attracted applicants and nominations from many leading institutions in the United States. Green would be the first woman to serve as dean of the college. She currently serves as professor and chair of the Department of Large Animal Clinical Sciences in the College of Veterinary Medicine at the University of Florida–Gainesville. She also serves as chief of staff for the Large Animal Hospital at the University of Florida Veterinary Medical Center. 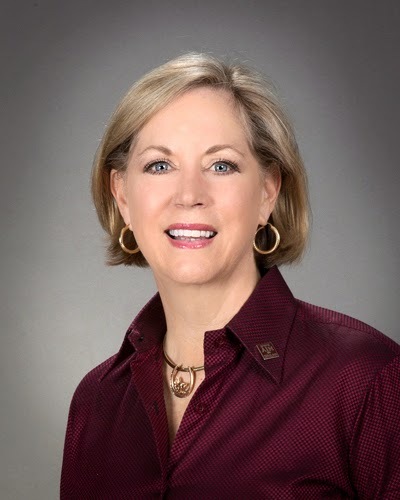 Texas A&M Provost and Executive Vice President for Academics Jeffrey S. Vitter cited Green’s national and international reputation in large animal clinical sciences and her role as the chief of staff for the veterinary teaching hospital at the University of Florida as key reasons for her selection. Green joined the faculty of the University of Florida in 1996 as professor and chair of the Department of Large Animal Clinical Sciences and chief of staff of the teaching hospital. Prior to that, she was professor and head of the Department of Large Animal Clinical Sciences and director of the Large Animal Veterinary Medical Teaching Hospital at the University of Tennessee in Knoxville. She has also served on the faculties of the University of Missouri College of Veterinary Medicine and the Mississippi State University College of Veterinary Medicine. She also was a partnership owner in a private veterinary practice. Green earned a bachelor’s degree from the University of Florida–Gainesville and a doctor of veterinary medicine degree from Auburn University, Auburn, Alabama. She is a Diplomate of the American College of Veterinary Internal Medicine, Specialty Internal Medicine, and a Diplomate of the American Board of Veterinary Practitioners, Certified in Equine Practice. Blogger's Note: Dr. Green is currently ending her term as the first woman president of the American Association of Equine Practitioners and serves on the faculty of the International Equine Conference on Laminitis and Diseases of the Foot, the fifth of which will be in West Palm Beach, Florida in early November 2009. Congratulations to Dr. Green--on many fronts!